The San Francisco 49ers have given right tackle Anthony Davis a 6 year extension worth over 37 million dollars that will keep him with the 49ers through 2019. The deal includes 17 million in guaranteed money. Davis, the 11th pick in the 2010 draft, has started every game in his 49er’s career. Davis played at a high level in 2012, grading out as the 49er’s second best lineman (behind left tackle Joe Staley) according to Pro Football focus. He was a pro bowl alternate and was the recipient of the team’s prestigious Bob McKittrick Award which is given to the offensive lineman who represents the best dedication, excellence and commitment. The deal reinforces the 49er’s philosophy of keeping their nucleus together by rewarding the young core of their team with contract extensions. Last season, they resigned All Pro inside linebacker NaVorro Bowman to a 5 year extension. The 49ers do not appear to be done yet. Guard Mike Iupati seems likely to be next in line for a new contract, while quarterback Colin Kapernick and outside linebacker Aldon Smith are eligible to renegotiate after the 2013 season. Wide receiver Michael Crabtree has 2 years left on his original deal and should also be a top priority. Crabtree may not be as easy to extend as the others considering he proved difficult to sign initially after being drafted in 2009. The wide out missed the team’s first 5 games his rookie year because of a hold out. General Manager Trent Baalke has done an excellent job at aquiring veteran players at low cost, high reward contracts to supplement his team’s young core. Players like Glen Dorsey, Nnamdi Asomugha, Craig Dahl, Phil Dawson, Anquan Boldin and Colt McCoy have been brought in this offseason either via trade or free agent signing with short term deals at reasonable money. It shows the 49ers are thinking about the future and not taking up cap space they could use to resign those core pieces mentioned above. With 13 picks still to come in this April’s draft, the 49ers are primed to reload for another run at this year’s Super Bowl and could be set up to contend for a long time. 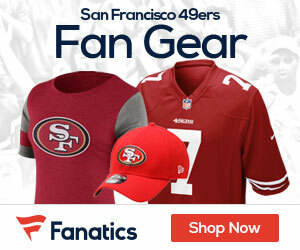 Be the first to comment on "Anthony Davis Extension Shows 49ers Committed To Young Core"